Gucci is part of the Kering Group, which also owns Balenciaga, Brioni, Saita Laurent, Alexander McQueen, and Volcom, among others. 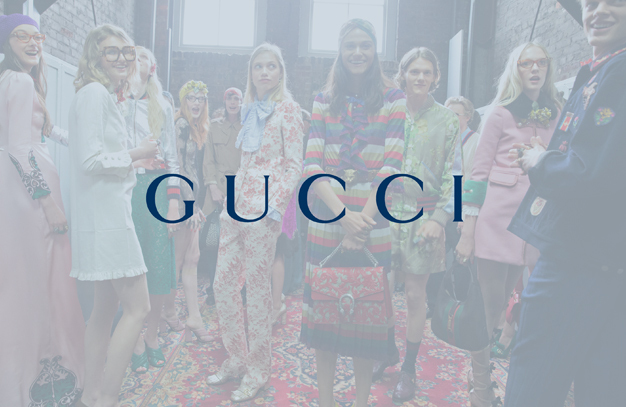 Gucci and the Kering Group operate from a strong commitment to corporate responsibility. For example, Gucci was the first company to release a handbag using leather from Rainforest Alliance Certified ranches. Gucci was also the first in its industry to complete a CSR (SA800) certified production process in 2004. Gucci uses 100% recycled and FSC-certified packaging and participates in third-party verification through the Responsible Jewelry Council and LEED. Most recently, Gucci has pursued LEED certification of its new retail stores in Tianjin, China; Milan, Italy; Washington, DC; and New York, NY.